The Coach House is an attractive property built in the mid Victorian period, set in 25 acres of beautiful manor grounds. With lovely views over farmland and countryside from the extensive gardens, which are bursting with flowers and shrubs, which change with the seasons, this makes a perfect retreat for those who want to relax and totally wind down! The woods are particularly beautiful in April and May when the bluebells are out. The front of the Coach House faces onto a cobbled courtyard and the back overlooks a private & spacious garden, ideal for relaxing in the sun or dining alfresco. It's a great space for kids to kick a ball around. The garden is accessible from the kitchen. The extensive grounds include a hard tennis court. Please enquire in advance if you would like to book a hitting partner. There is a table tennis table and piano within the property. Explore Cornwall's many miles of beautiful coastline, from luxurious sandy beaches to picturesque harbour villages, untouched by time. 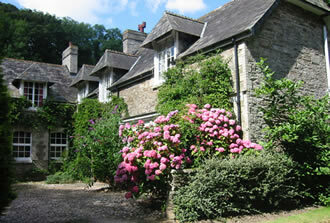 Visit splendid gardens and historic locations, which Cornwall has many of. 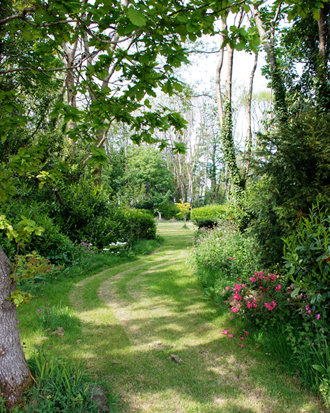 Walk along the many scenic bridleways and footpaths that meander through this beautiful county. Alternatively enjoy water sports, including surfing and sailing on the many wonderful stretches of beaches that trail along the Cornish coastline.